While Apple has claimed that iPhone 5s Touch ID system is the most secure system that is available in the market on smartphone devices. It is reported that some users have already bypassed Apple Touch ID fingerprint scanning security, and accessed the device with non-living / generated finger. The iPhone 5s fingerprint scanning Touch ID system can be hacked easily if you know what you are doing with your iPhone 5s device. However the iPhone 5s Touch ID hack is not much simple as it sounds. It includes advanced steps that require hackers to use daily usage fingerprints from a glass but then processed with advanced gadgets. Apple has claimed that iPhone 5s Touch ID cannot be bypassed hardware-ly but now it has been proved by some folks in Chaos Computer Club that Touch ID can be easily hack. A group of hacker published their proof of concept of hacking iPhone 5s Touch ID, and winning a $15,000 bounty from researchers around the world. Some researchers have already contacted the team to get more information about their hack. The biometrics hacking team of the Chaos Computer Club (CCC) has successfully bypassed the biometric security of Apple’s TouchID using easy everyday means. 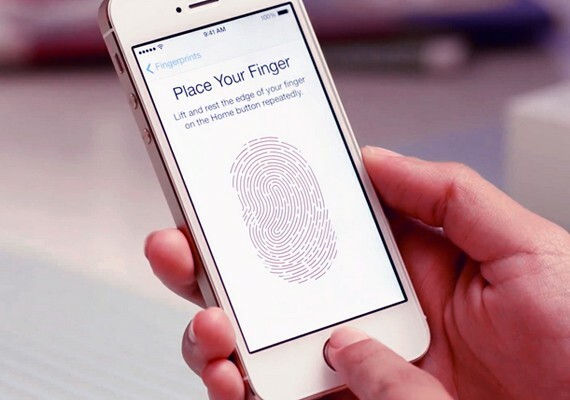 A fingerprint of the phone user, photographed from a glass surface, was enough to create a fake finger that could unlock an iPhone 5s secured with TouchID. Furthermore, the group of hackers has claimed that Touch ID can be easily fooled with Camera, a laser printer, and some wood glue. The Touch ID sensors are still vulnerable to basic fingerprint scanning hacks that are available for every-next fingerprint scanning machine. If you believe that Touch ID can protect your data on iPhone from being stolen, then you are totally wrong because who want the data can still easily get their hands on the information stored on your device. With many people claimed that there is no way to hack iPhone 5s Touch ID, the report clears everything in the market. Such rumors are definitely going to hurt Apple’s market against its competitors.